All of the telly to ease you into the weekend. Part two of two. The celebrity candidates from the worlds of entertainment, sport, journalism and comedy continue their efforts to raise as much money as possible for Comic Relief, with Karren Brady and Claude Littner in attendance. Businessman Lord Sugar later casts scorn, surprise or praise on their efforts in his inimitable way before revealing the winning team. A faded movie star famous for his role in a series of superhero movies 20 years previously tries to reclaim his artistic integrity by directing and starring in a Broadway play. The experience plunges him into a personal crisis as both the production and his own family are beset by a series of disasters. 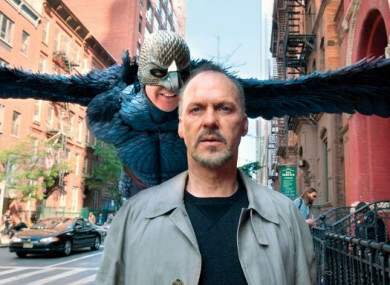 Oscar-winning drama, starring Michael Keaton, Edward Norton and Emma Stone. The armchair critics share their opinions on what they have been watching during the week. The programme captures their instant reactions and lively discussions from the comfort of their own homes. In the wake of the damning Leaving Neverland documentary about singer Michael Jackson, The Simpsons has decided to pull the episode featuring Jackson from television schedules indefinitely. Speaking to The Wall Street Journal, producer James L Brooks said that erasing the episode from schedules “feels clearly the only choice to make”. Who Wants To Be A Millionaire? (Virgin Media One, 9.00pm) Jeremy Clarkson hosts the quiz, with six more contestants in the studio hoping to sit in the hot seat and have the chance to take home £1million. Dirty Dancing (Virgin Media One, 10.00pm) If you fancy having the time of your life, look no further.